3 Year-old Preschool - For children who are aged 3, are toilet-trained, and ready to begin learning in a structured program. The 3 Year-old Program combines educational, as well as play activities to help our little tikes ease into the school setting. This program meets for two and one-half hours, two days weekly. Children must be 3 years old by September 15th of the school year. 4 Year-old Preschool - For children who are aged 4 and ready to meet new learning challenges as they inch toward Kindergarten. Students in the 4 Year-old Program can expect to grow in basic learning skills, as well as socialization with others. This program meets for two and one-half hours, four days weekly. Children must be 4 years old by September 15th of the school year. Transitional Kindergarten(TK) Class - For children who are aged 4 and 5 and ready for this transitional program into Kindergarten. Our TK Program class meets daily, to prepare students for a more kindergarten-like program, combining educational and play activities to instill in our children that learning can be fun. This program meets for two hours and fifty-five minutes, four days weekly, and 1hour and 55 minutes on Wednesdays. Children must be 5 years old by January 1 of the school year. Free Preschool for 4 Year-Olds - In the spring of 2007, the Iowa Legislature passed measures to pay for and provide free preschool education for four year-old children in several communities around the state. The Davenport Community School District applied and was awarded a significant number of these state-funded preschool seats. Having an excellent preschool program already in place, St. Paul the Apostle Catholic School requested and was selected to provide state-funded preschool for forty children, age four by September 15th, in our preschool programs. 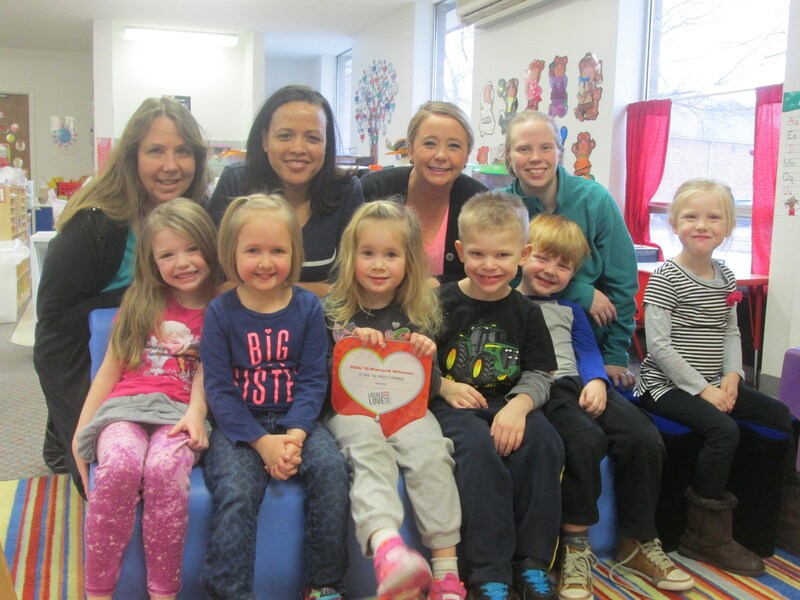 Recognizing and responding to the need of our full-time working parents, St. Paul the Apostle Catholic School is pleased to offer a wrap around care component for our preschool children. The program builds on the learning that takes place in our preschool programs; providing a learning environment while also encouraging socialization and play time. Children must be at least age three and toilet-trained to participate in our day care program. The program is housed in the Early Learning Center, providing convenient access to various preschool programs and quality environment that enhances the child’s development. St. Paul’s daycare is directly overseen by the school and is licensed through the State of Iowa’s department of Education. The daycare will be closed during the holidays and breaks that the school is closed. Nutritious lunches and snacks are included in the cost of the program. For additional information, contact the school office at (563) 322-2923.